CONTACT ME TODAY For Your Dream Mansion! The Mansions at Doral, the only community where you can choose from over 100 customization options and 35 floor plans for a home that’s uniquely yours. With close proximity to major highways, Miami International Airport, top-notch schools and hospitals, the Trump National Doral Golf Course, International and Dolphin Mall, multi-cultural restaurants, fine retailers and boutiques, and much more, a stimulating lifestyle is right at your fingertips. The Mansions at Doral proudly offers the latest in high-quality, high-functioning kitchens in a lavishly contemporary style. To preview our kitchen customization options in more detail, please contact us today to schedule a private appointment. With the most superior finishes available, The Mansions at Doral bathrooms evoke a beautiful, spa-like retreat. View our luxurious Master Bath options in a private appointment by contacting us now. See how your smart home can be personalized for you. Contact us now for a private appointment. 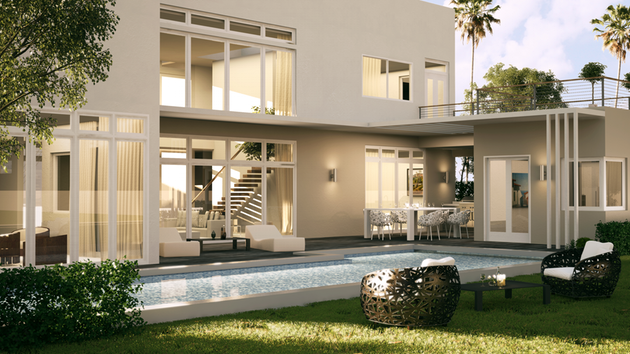 The Mansions at Doral recognizes that mobility is part of a luxurious lifestyle. Enjoy access to an in-home elevator option, available in Mansion V.
Price list for this property is currently available upon request. Call or email us today for updated pricing information, availability, and current offers for this new property.